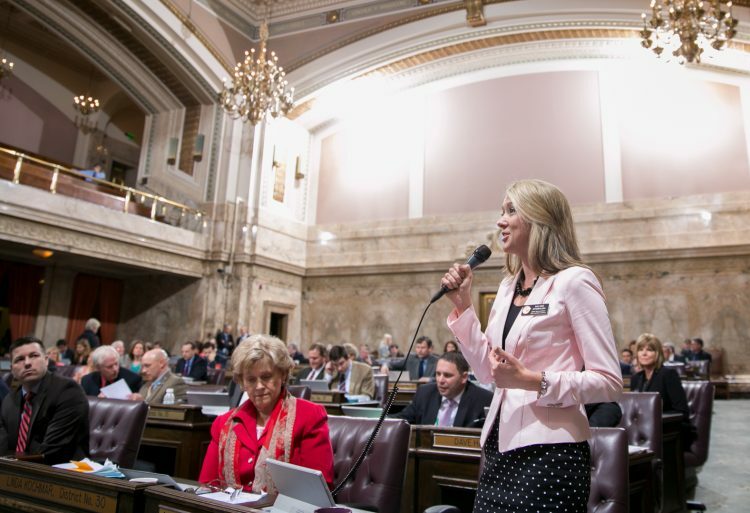 At 26, State Rep. Melanie Stambaugh is the youngest member of the Washington Legislature—and the state’s youngest since 1936. Armed with a bachelor’s degree in business administration from the Foster School, the young Republican knocked on 17,000 Puyallup doors and won the 25th District seat in 2014 and was re-elected in 2016. One way she’s done that: social media. Stambaugh stars in weekly Facebook videos to keep her constituents in the loop about current events in Olympia (she even edits the videos herself). As for her top issue? That’s education. “I believe it’s the foundation for everything to be built upon,” she says.